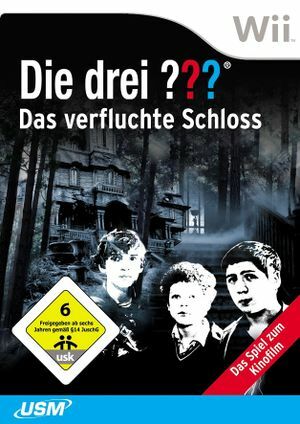 In Die drei Fragezeichen: Das verfluchte Schloss a new case leads Justus, Peter and Bob into an abandoned castle where a ghost is at work. But soon discover the three detectives that hides far more behind this scary story than initially assumed. The graph below charts the compatibility with Die drei Fragezeichen: Das verfluchte Schloss since Dolphin's 2.0 release, listing revisions only where a compatibility change occurred. This page was last edited on 2 February 2018, at 11:11.